REDFIELD, NY – Residents of Redfield are up in arms against a proposed plan by the U.S. Postal Service to close its office in the small Oswego County town. The U.S. Postal Service has been losing money for years. It reported $8.5 billion in losses in the 2010 fiscal year and most recently $2.2 billion for the second quarter of the 2011 fiscal year. In an effort to curb losses the U.S. Postal Service has been looking to close unprofitable postal offices, most of which are in small rural towns. Redfield has come under review for closing because they have been operating without a postmaster since 2004. Since then officer-in-charge Luann Davis has run the Redfield post office. According to U.S. law a post office cannot be closed because it is operating at a deficit. The U.S. Postal Service must be able to site other reasons such as unsafe working conditions or the lack of a postmaster, like in Redfield. On May 6, the 77 residents with a PO box at the Redfield post office received a questionnaire containing five questions about their use of post office services. The questionnaire asks if residents drive past any other post offices on their drives to work, shopping or for personal needs. “All the postal customers should have received that, not just the post office boxes because it’s going to affect the whole community,” said Martha Harvey. Harvey is the former postmistress of the Redfield post office and is now working to keep it open. “That’s (the questionnaire) only available to people that come to the post office, anybody on the rural route won’t receive one,” said Brown. If a resident didn’t have a post office box the only was to receive the questionnaire was to pick it up at the post office. The questionnaires have been used to compile data they was made available at a May 16 meeting that was held for Redfield residents by U.S. Postal Service officials. According to the data presented at the May 16 meeting only 34 questionnaires were returned. Two in favor of closing the post office, six opposed and 26 with no expressed opinion. 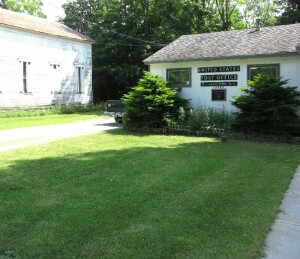 If the Redfield post office were to close down its customers would be expected to use the Williamstown post office which is at least eight miles away or put up a mailbox and receive carrier service. 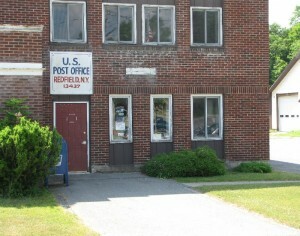 The Williamstown post office would offer post offices boxes and carrier service to Redfield residents. “I think the senior citizens would be most affected,” said Harvey. If a senior citizen did not want to get a post office box in Williamstown they would be forced to receive carrier service. In addition to the extra burden on senior citizens, residents of Redfield are upset with having to go out of their way to Williamstown for postal services. Harvey said she would have no other reason to go to Williamstown. “There’s no drug store, there’s no grocery store. So, if I’m driving to Williamstown it’s a 26-mile round trip and that is all I’m going for. It’s not going to happen,” she said. Concern was also expressed with the availability of parking at the Williamstown post office. The parking lot is long and narrow with little to no room to turn around, this forces patrons to have to back out onto a state highway, she pointed out. This concern was addressed at the May 16 meeting and the postal service officials believe there to be sufficient parking to handle the absorption of the Redfield post office. Brown and Harvey are helping with organize efforts to save the Redfield post office. They gathered about 150 signatures and sent petitions to Albany and are offering letters to be signed and sent to senators Charles Schumer and Kirsten Gillibrand and Congressman Bill Owens. Congressman Owens has returned letters expressing his support of the Redfield post office and others facing termination. Residents of Redfield will not know until sometime after Aug. 4 whether or not their post office will remain open. “There has always been a post office here, for as long as I can remember,” said Harvey, adding she doesn’t want to see that change. I retired from the Post Office in Oct. of 2009, after 35 1/2 years. I’d have to say that I agree with the closures of these small Post Offices, that can be served by larger ones in nearby Villages/Cities. The overhead to operate these small Post Offices alone, can in many cases, exceed the revenue generated by these small offices. The OIC should’ve pursued her upgrade to a Postmaster years ago, not waiting roughly 7 years later, only to have the Post Office cite this reason being without a Postmaster, as grounds for closure. There are many other small offices – Minetto, Osceola, Red Creek, etc, that also should be closed, because of overhead costs, exceeding revenue generated. We need the U.S. Postal Service, but we also need thinking that goes into the future, to spend money wisely, since the decline of First Class mail has steadily eroded the monies the Service has made, and instead has put the Service into the red, to the tune of many billions of dollars.